On Sunday, August 21, 2016, Hylands Golf and Country Club played host to the final round of the National Capital Open to Support Our Troops golf tournament, part of the Mackenzie Tour-PGA Tour Canada. It started early (0715 hrs) because of rain and the hopes of having an early finish to beat the possibility of lightning. And rain it did, pouring at times, but the players slogged on until 1440 hours when the final putt went in on the 18th hole, leaving a three-way tie for first at 15 under par and assuring playoff holes. Samuel Del Val, Adam Cornelson, and Brock Mackenzie headed back to the 18th hole for the playoff, but it was not to be decisive. Back they went again with the same result. In fact, it was seven extra holes before Mackenzie made birdie on the par 3 third hole beating Del Val (Cornelson was out after the third extra hole) and becoming the 2016 Champion. Commodore Sean Cantelon, Director General of Morale and Welfare Services (DGMWS) in DND, was on hand to present the trophy, having taken over the position of DGMWS only four days ago. Also on hand was Mr. Scott Byrd, director of the C-130J program at Lockheed Martin, which was the major sponsor of the tournament this year. 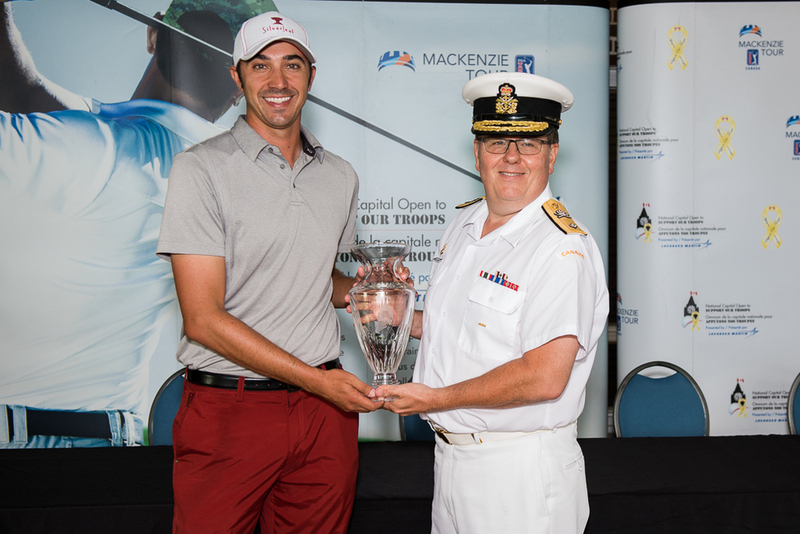 The National Capital Open to Support Our Troops is a major golf tournament with the Mackenzie Tour-PGA Tour Canada, helping players obtain their entry into the PGA. It is a weeklong affair, starting with a qualifying tournament, a Pro-Am contest, clinics, and then a four-day professional tournament. 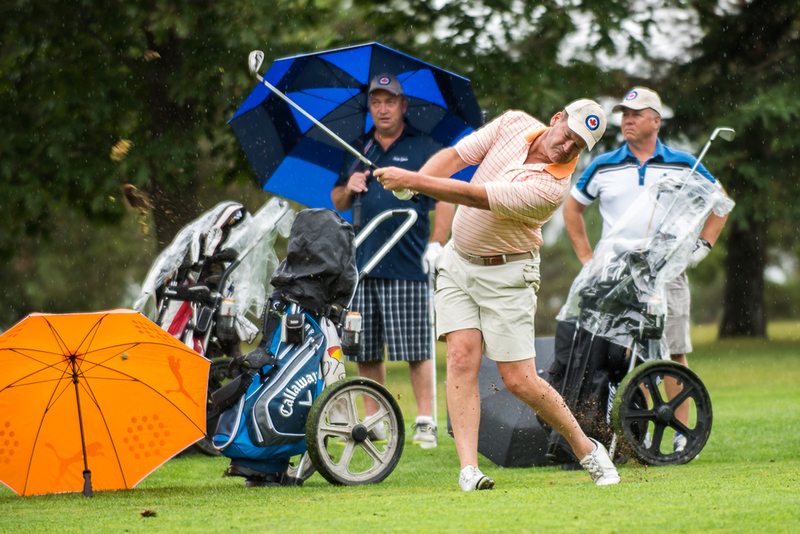 This year saw the Pro-Am event occur on the Tuesday afternoon, again in the pouring rain, with sponsors, military members, and others playing in foursomes with a designated tour player. The Vice-Chief of the Defence Staff, Vice-Admiral Mark Norman, and the Commander of the Royal Canadian Air Force, Lieutenant-General Michael Hood, participated, foregoing the usual comforts accorded people in their positions and not letting the driving rain stop them for a minute. 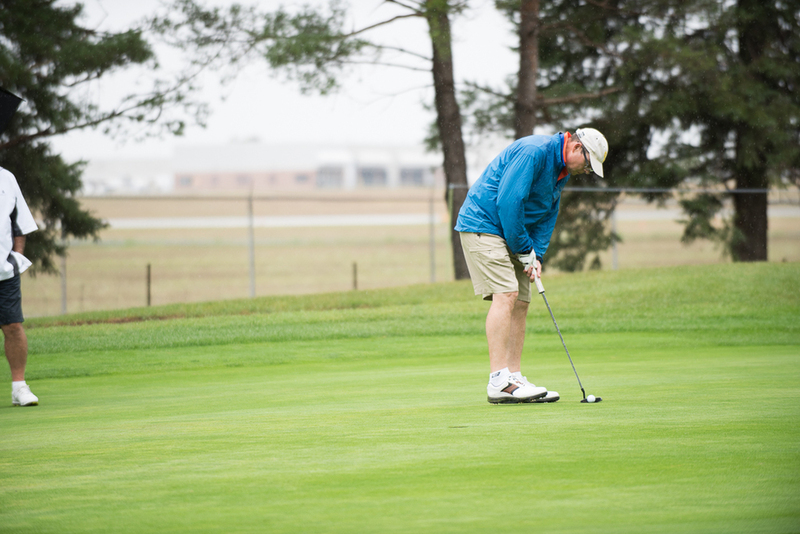 They walked the course, carried their own bags, and got soaked, all to help promote the charitable aspects of this tournament for the military. 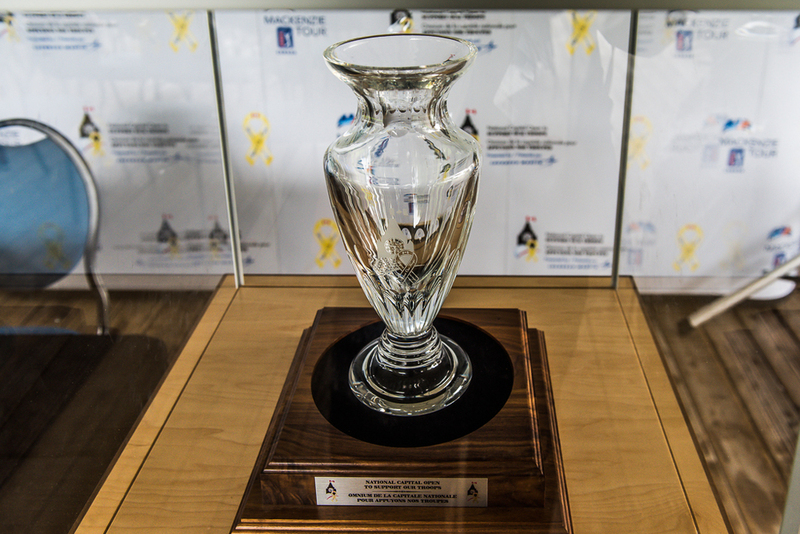 Notwithstanding the importance of the event to golfers on their way to the professional league, the tournament is also a major fundraiser for the military/veteran community. This year, between sponsors and proceeds, $100,000 will be donated to help mitigate homelessness for veterans. 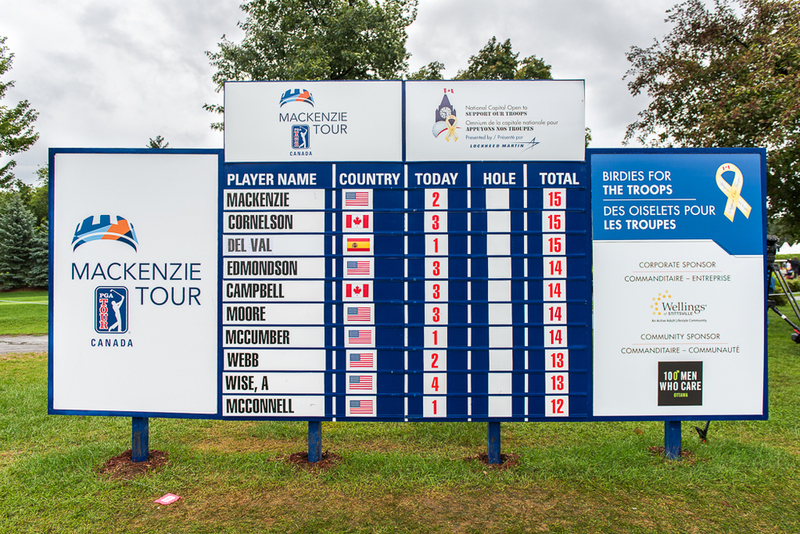 According to Mr. Brian Decker, media officer for the Mackenzie Tour-PGA Tour Canada, this money will help veterans in need of housing in the National Capital Region. That in itself is reason enough to watch the game.